Washington Times: Messiah? Who, Moon? You would think that if someone famous died who claimed to be the messiah that his obit writer would work that in pretty high in the story. The New York Times got it into the lead paragraph. So did the Washington Post and the Los Angeles Times. The Wall Street Journal let it slip down to the fifth paragraph, but still, they got it in there. You know who didn’t? The Washington Times, which was founded by the Rev. 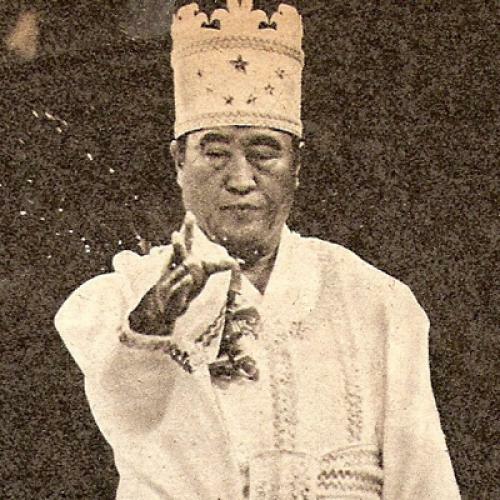 Sun Myung Moon’s right-hand man, Bo Hi Pak; has received more than $1 billion subsidies from Moon’s Unification Church since its founding three decades ago; and continues to be owned by individuals who belong to or are close to the Unification Church. The Washington Times obit plays up Moon’s role as a philanthropist and eliminates entirely his role as the self-proclaimed word made flesh. Someone should teach those guys the five Ws. When a person says he’s the messiah you can react in one of two ways. You can say, “Hey, that guy thinks he’s the messiah.” You probably won’t believe him, but since you can’t prove him wrong you’ll probably refrain from adding, “but of course he isn’t” (or, as Terry Jones puts it in Monty Python’s Life of Brian, “He’s not the messiah. He’s a very naughty boy”). Instead, you’ll perhaps roll your eyes and perhaps reach the quiet conclusion that this person is a lunatic. It’s news that Moon thought he was the Messiah, but when he dies you don’t have to tear up the front page. The other way to react is to say, “Hey, that guy is the messiah!” Which indicates that you believe this person’s claim. Which makes the story very, very big. If you work for the Washington Times, then presumably you’re supposed to think Moon is the messiah (even though you probably don’t). Or at least you’re supposed to respect your bosses’ belief that he is. And if the messiah dies ... that’s spectacularly big, right? How big? Well, it’s so big that ... you have to leave the messiah business out of the story altogether. Shhh! The messiah died! The only people who aren’t allowed to say so are the people who actually believe it. Is this how L’Osservatore Romano would have covered the crucifixion? I don’t think so.